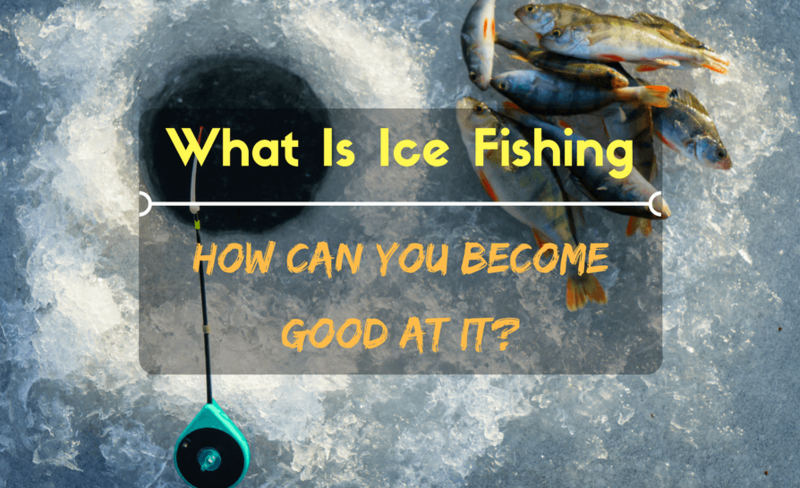 →What is Ice Fishing and How Can You Become Good at It? What is Ice Fishing and How Can You Become Good at It? Ice fishing is basically catching fish using hooks or spears in frozen water bodies. It is a fishing sport or hobby that is usually undertaken at the beginning and towards the end of the winter season. Ice fishing is yet to become a fully accepted sport in the angling community, but the few anglers who indulge in it say it is a fun and exciting winter outdoor activity. 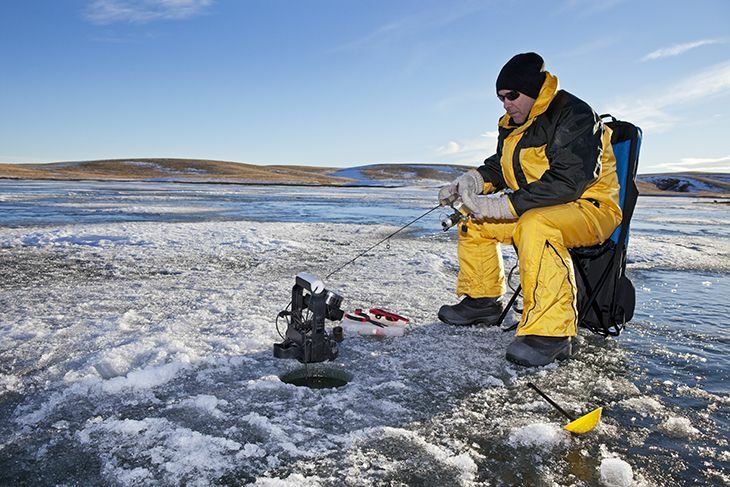 A new angler may find ice fishing quite tedious at first. The freezing weather, digging through rock hard ice and trying to guess where the fish is may not count as fun on day one. Nevertheless, knowledge on the ice fishing sport and a little resilience is all it takes to finally enjoy the new challenge. There are two kinds of anglers who participate in ice fishing: the beginner and the professional angler. Novice anglers do not often use lots of equipment. 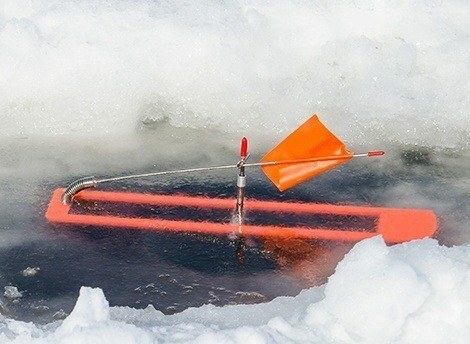 Experienced anglers invest in a lot of equipment, which may include towing an ice-fishing structure to the fishing site. The possibility of catching a fish in the ice largely depends on the time of day, type of fish you want to catch, and the fishing spot. Many people go ice fishing at dawn and mid-morning or late in the afternoon until dusk. Your success in ice fishing will also be determined by whether you fish during early or late winter. Fish tend to be active during early and late winter. It is relatively easier to dig holes through ice during early and late winter. Some of the most popular ice fishing spots in the world are in Canada and North America, especially along the American-Canadian border (worldfishingnetwork.com). Lakes in this region can have two to eight different fish species. There are many ice-fishing lakes in North America including the world famous Devil's Lake in East Dakota (liveoutdoors.com). Ice fishing is a popular activity in such lakes with anglers boasting of netting Jumbo perches that can weigh up to 2 pounds. Walleyes and giant Northern Pikes are frequently caught on Devil's Lake. Wisconsin has Lake Winnebago as its best spot for winter fishing. Walleyes and perches abound in the cold Winnebago waters, but these are just the small fish. Thousands of anglers flock the fresh water lake in Wisconsin to catch the highly prized monster lake sturgeon. The state of Michigan has Lake Gogebic is its main ice fishing lake. Here you are likely to catch a walleye or a perch. Lake Gogebic is said to be a fertile fishing ground that abounds with fish during winter. Another popular ice-fishing lake in the U.S. is Lake Champlain in Vermont. This lake sits on the American-Canadian border and is famous for its abundance of various fish species. Here expect to catch a walleye, northern pike, salmon, trout, or the prized jumbo pan fish. 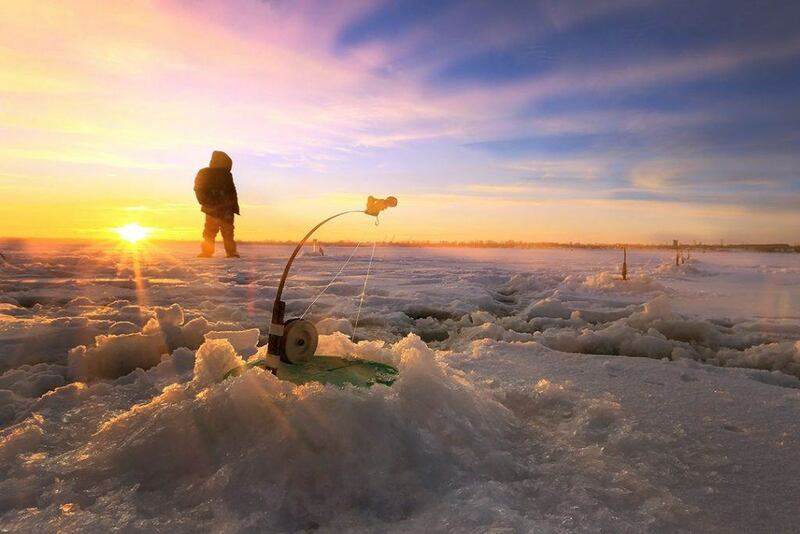 In Canada, popular ice fishing spots include Lake Simcoe, Lake of the Woods, Lake Nipissing, and Cold Lake (https://interstude.com/best-lakes-ice-fishing-canada/). 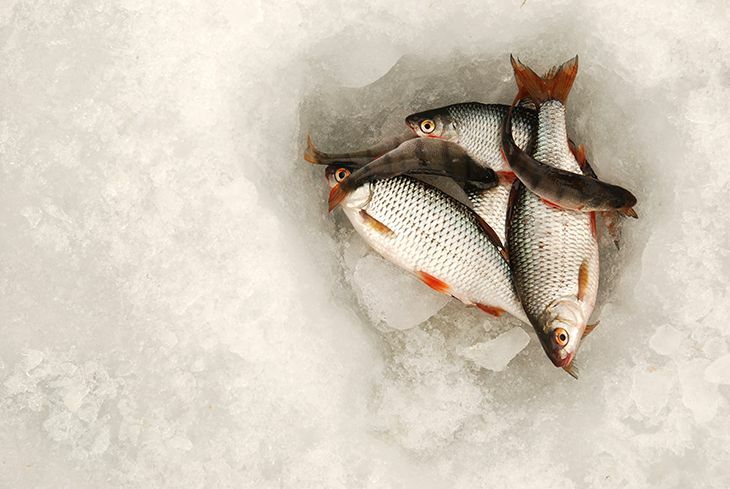 Lake Simcoe is an ice fish hub that hosts the annual Canadian Ice Fishing Contest. It is situated in northern Toronto and has many fish species including lake trout, whitefish, and the perch. It is not uncommon to fish out a 2 to 3-pound perch in this Lake. Lake of the Woods, on the American-Canadian border, is home to the whitefish, northern pike, lake trout, and the giant yellow perch. This lake provides ample fishing opportunities throughout the year regardless of the season. There are about 40 resorts surrounding the lake regularly boarded by professional ice-fishing anglers. 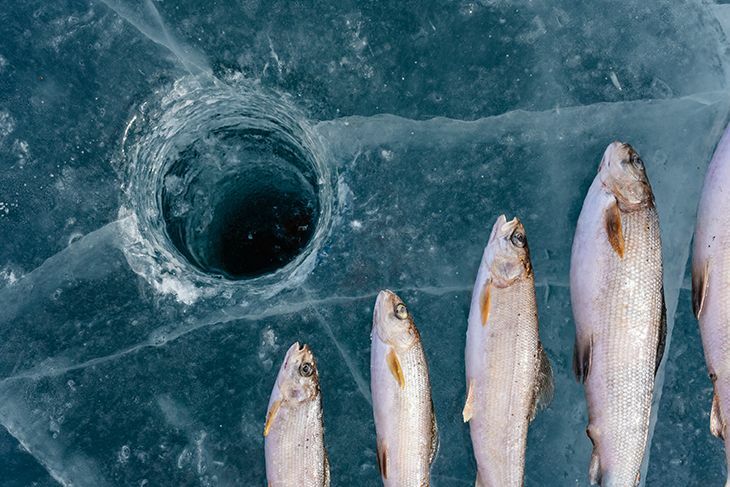 Lake Nipissing and Cold Lake have one thing in common; you are likely to net a 10-pound fish beneath the ice. Located in North Bay, Lake Nipissing is an ideal fishing spot for walleyes that can weigh up to 10 pounds. You can also expect to catch some perch and Northern pike in the lake. Cold Lake is situated along the Alberta-Saskatchewan border and is home to perch and pike. You can also fish some walleye and whitefish from the lake. Although ice fishing is a fun activity, it is important to observe ice fishing safety tips to prevent accidents that may cause injuries including hook punctures, cuts, mild frost bites, and in serious cases, drowning. 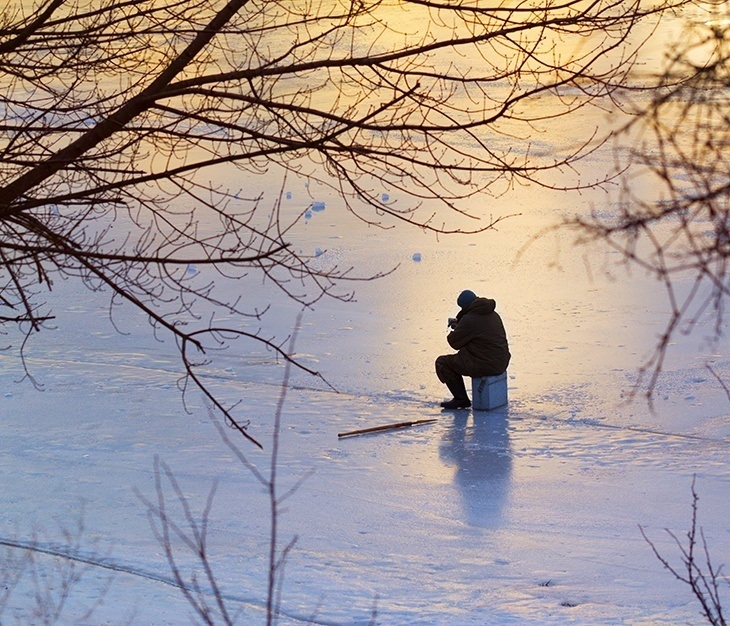 Ice fishing safety involves taking responsibility for yourself and fellow anglers around you. On that note, how can you tell if it is safe to fish on a frozen lake? If it has only been cold outside for two or three days, then the ice is probably not safe enough to fish in. 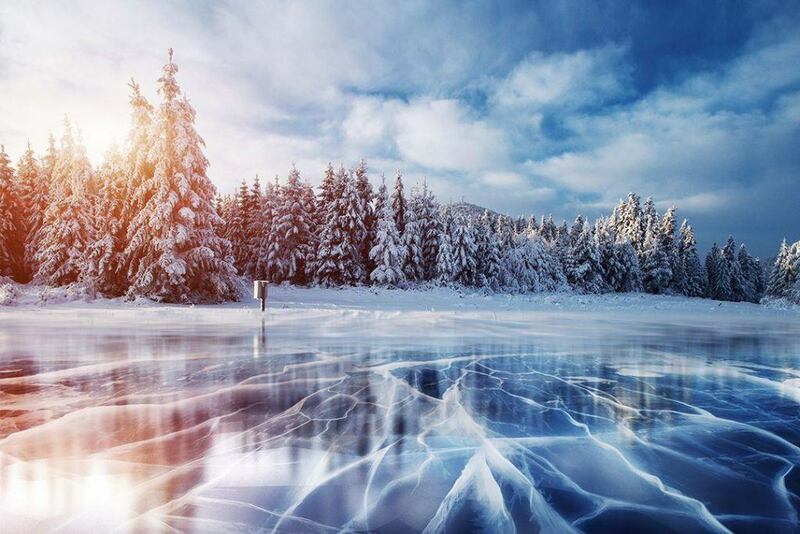 Other factors that determine ice thickness include water temperature, type of water, flowing water under the ice, location and size of the water body as well as air temperature. 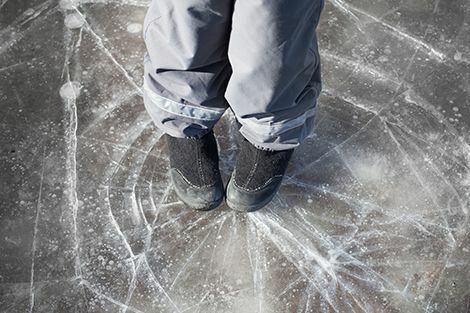 The only way to ensure your safety is to first inspect the frozen lake or water body itself. 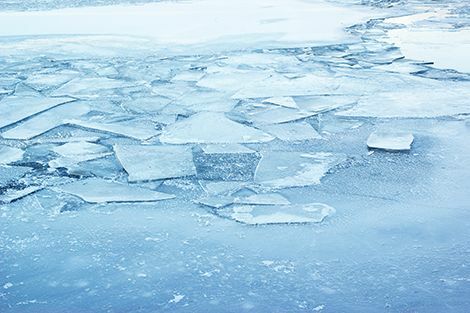 Visible cracks or crevices on the surface of a frozen lake are red flags. In addition, if there is water spewing out from beneath, then the water body is melting fast and not suitable for fishing. Avoid fishing around objects like logs, docks, or rocks because they absorb heat fast causing ice to form slowly or melt quickly. Do not step on the icy lake, especially if it is slushy around the edges. 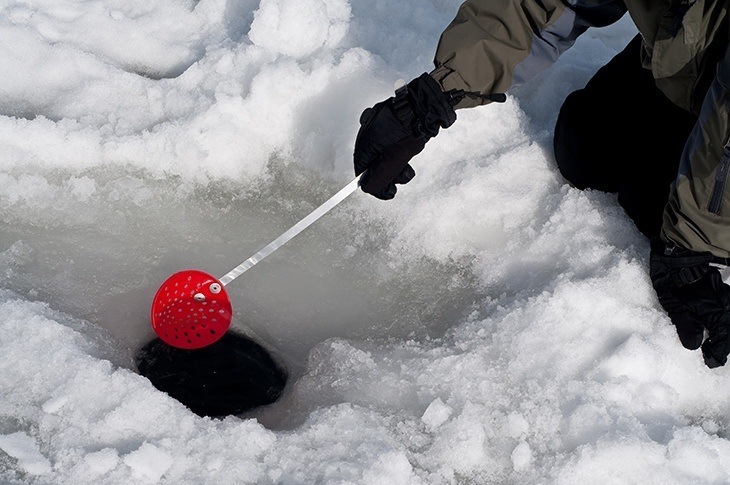 Another way to evaluate if a frozen lake is safe for fishing is by checking the color of the ice. Strong ice will be about 12inch thick and has a distinct clear blue color. This type of ice is safe to pitch an ice fish shanty or drive a mid-size truck on it. White cloudy ice is dangerous to fish in because it is unstable due to layers of snow in between layers of ice. Sometimes the ice below is not completely frozen and offers a weak, dangerous base. Lastly, if the ice surface has a dull grey hue to it, it is completely unsafe to walk on. A dull grey color indicates the presence of water or thawing ice. Grey ice will show up at the start of spring or around moving water like ice formed on a flowing river. 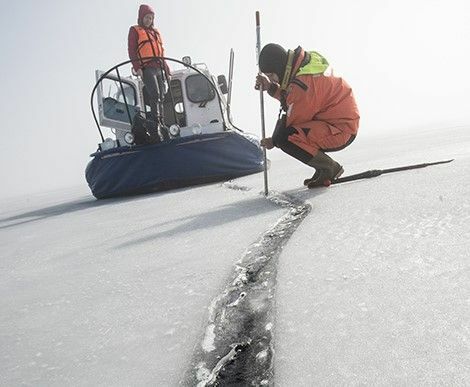 Ultimately, the thickness of the ice determines how safe it is to fish on a frozen lake. Ice that is 12 inch thick can support a person or small truck without giving in. 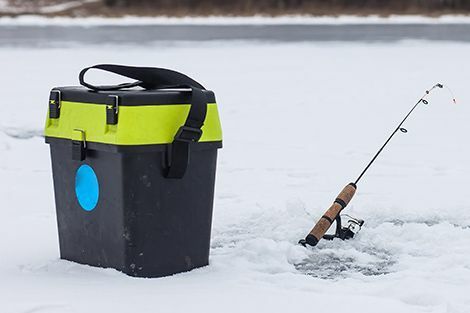 The type of ice fishing equipment you decide to use should be determined by the conditions you are likely to face while fishing. Beginners often use basic angling equipment than professional anglers. 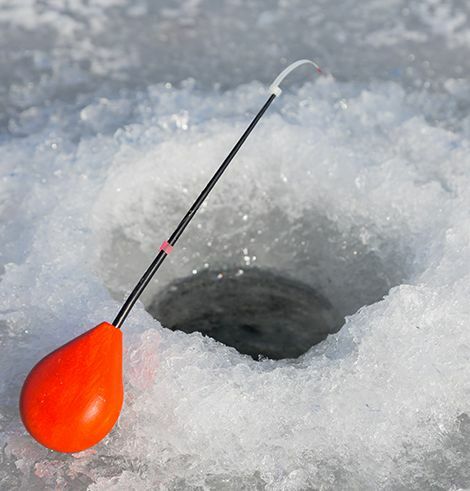 Nevertheless, some ice fishing tools can be used by both beginner and professional anglers. Spud and auger drills are two essential tools for digging holes through the ice. The spud is a long-handled tool with a chiseled end to chip through the icy surface. An auger has a cutting blade designed like a corkscrew and a body shaped like a conventional hand drill. 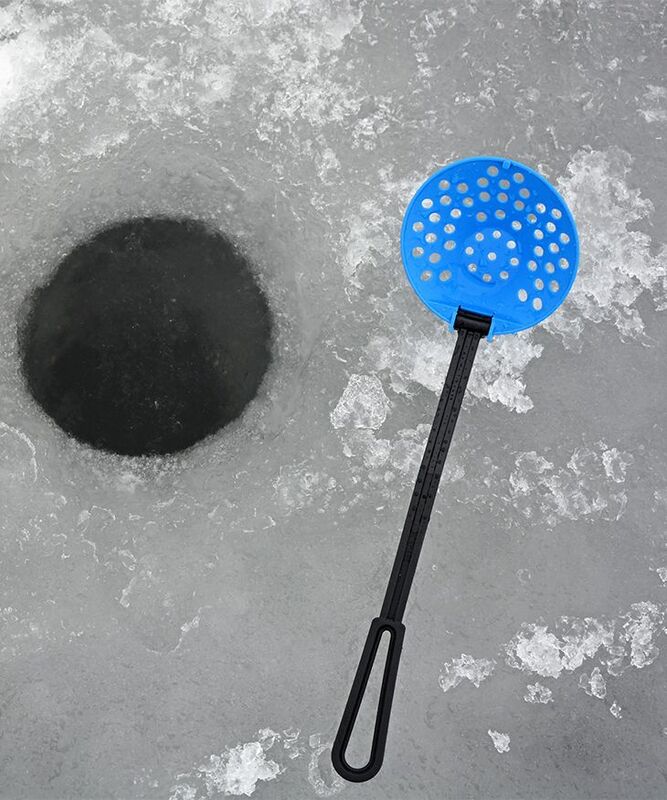 An ice-scooping tool helps the angler scoop away ice from a freshly made hole. It also helps keep the hole open by scooping away slush and newly formed ice covers. A common scooping tool among anglers is a skimmer or slush coop. It looks like a cup with holes to let water through. 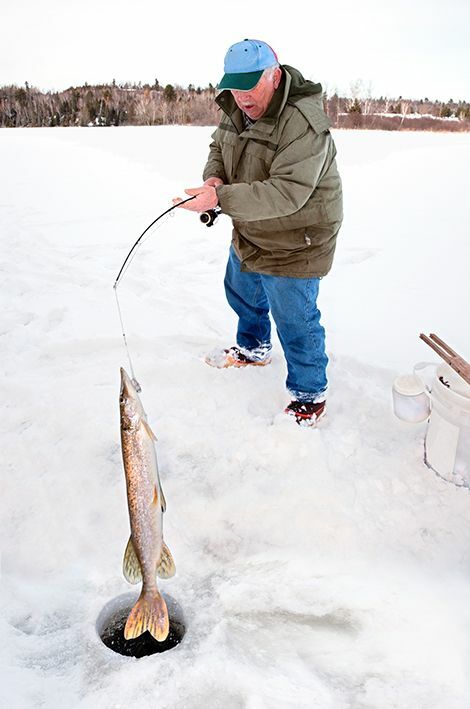 Ice fishing enthusiasts may choose between three fishing tools: hook and line rods, tip-ups, or fishing spears. One of the most significant factors in ice fishing is that you do not require reels that can hold much because of the short casting distance involved in ice fishing. All you need to do is to simply drop your lead into the ice-fishing hole. Unless your target is heavy fighting fish like trout and pike, you typically need an ultra light reel, preferably a light monofilament reel. Besides, you can consider type of line for ice fishing. The leader is the part that connects your hook, lure, or bait to your line. Consider using monofilament and wire leaders when targeting walleyes and northern pike respectively. Hook and line fishing equipment are the simplest of the three. They feature simple rods, reels, and a spool that reels the line in or out while casting. Lines used on these rods are light and absorb tension when wrestling the fish out of the water. It is important to use a combination of baits and lures when ice fishing. Consider using live bait with jigs and lures, especially ones that glow in the dark or underwater to attract the attention of fish. If your target is walleyes, consider using jigs that imitate minnows. Live or artificial bait may be used with hook-and-line rods. The bait is often used with a lure like flies to attract the fish to the bait. Possible bait material includes fly larvae, wigglers, minnows, and wax worms. The bait may remain stationary in water or jiggled to lure the fish towards it. 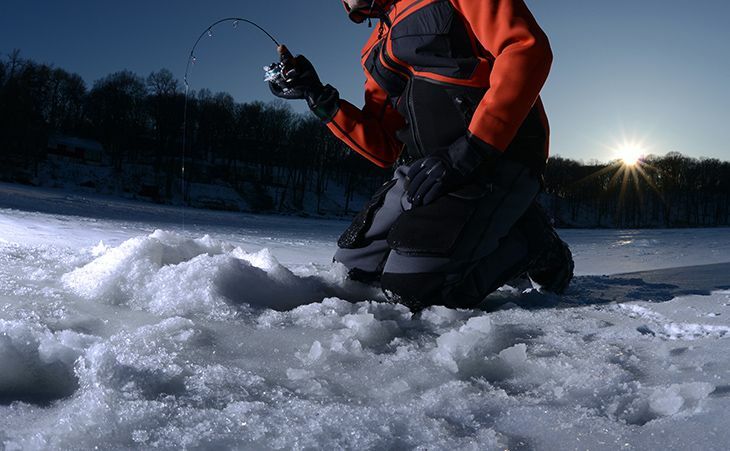 A tip up is positioned vertically above the ice hole and the bait dangled into the water. The name tip up is derived from the red flag that is attached to the line and used as an alert signal when there is tension on the line. Tip-ups will work best with a heavy braided line to absorb all the tension caused by struggling fish. Some anglers would use tip-ups together with fishing rods to fish from two or more holes simultaneously. 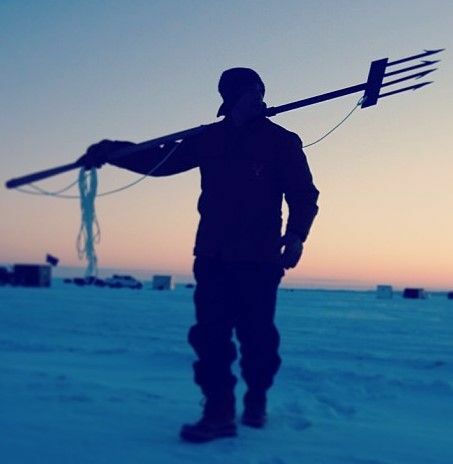 The spear is a more traditional fishing method that is mostly used by those fishing inside ice fishing shanties. It features a long handle, usually seven feet long, and a spearhead. An angler makes a hole on the frozen surface inside the ice-fishing house and then stays on guard with the spear. The shanty blocks outside light enhancing visibility in the water. Spear anglers use larger baits to lure the fish they want before jabbing them with the spear. 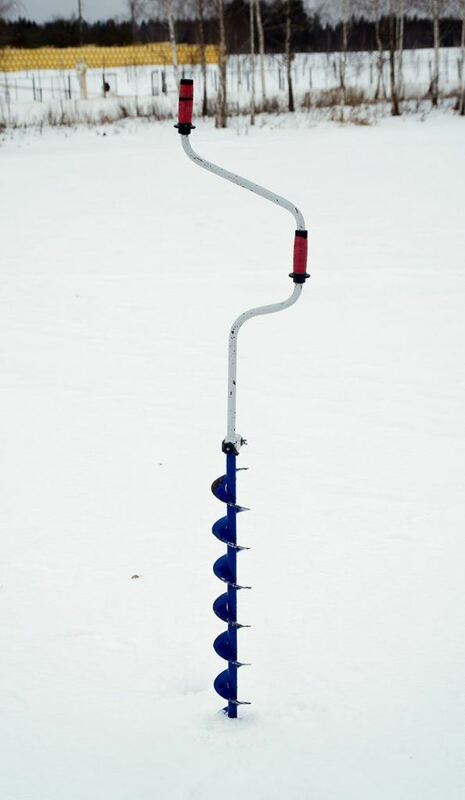 Almost all anglers would utilize one or two of the three ice fishing tools. However, professional ice fishing anglers may use different tools. 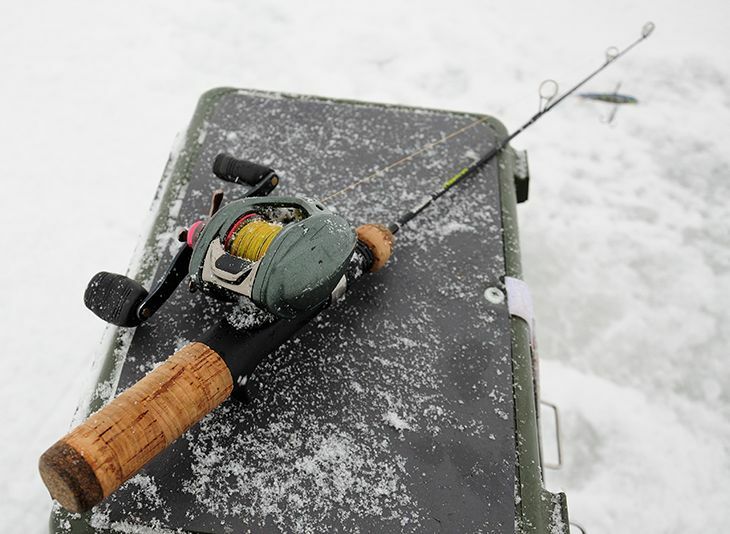 If it gets too cold out on the lake, many anglers would be spotted in an ice-fishing shanty. These fishing shanties not only provide great locations for spear fishing, but they also provide shelter from the cold. Some anglers carry propane tanks to power their heaters and stay warm as they fish. 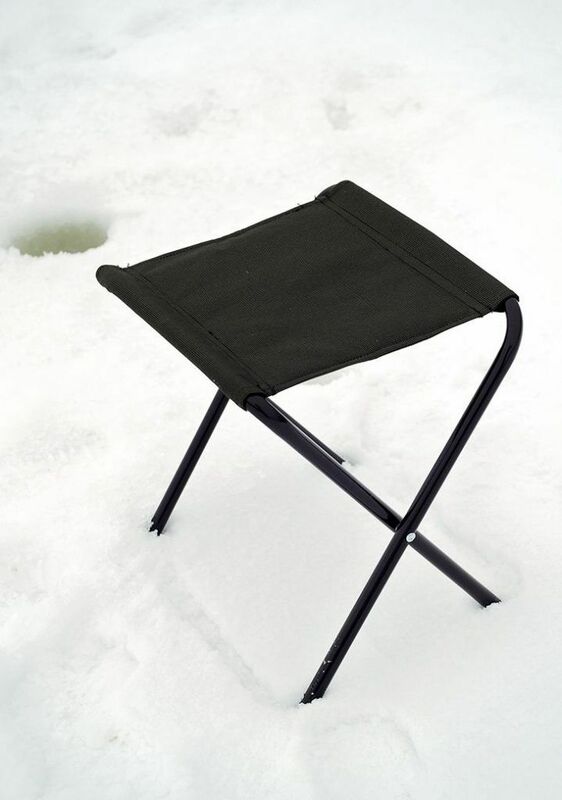 If propane heaters are not available, a simple plywood board is enough to keep you warm while ice fishing. When the weather becomes conducive for fishing, it is not uncommon to see anglers on foldable stools holding rods going into holes they dug. Some would use large buckets as seats that can also be used as gear carriers. Anglers who do not own ice-fishing shelters would invest more on safety gear and warm clothing. Common ice fishing gears include fleece jackets, coveralls, bib overalls, and warmer clothes beneath all these layers. Angling gear must be waterproof and have wind breaking properties to keep off the cold. 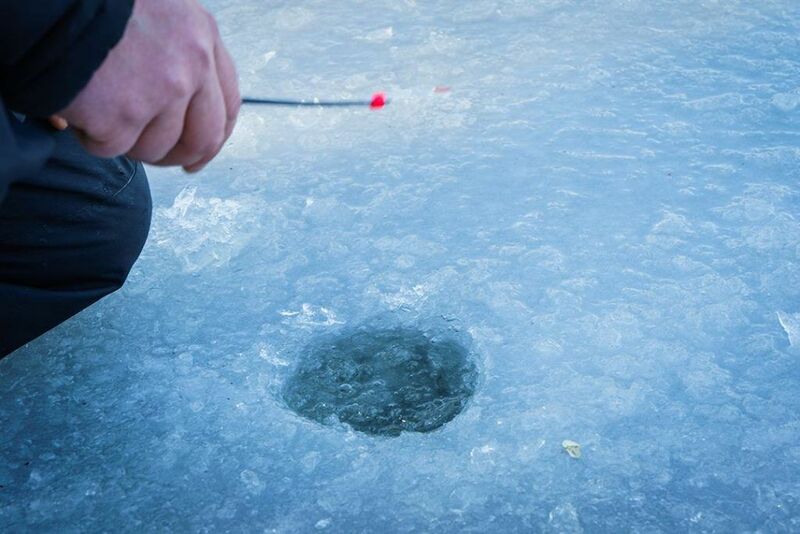 Ice fishing involves digging holes that are at least 2 inches deep to cast their lines. The type of tool you use to dig through an icy surface is determined by the thickness of the icy surface. A spud is a suitable digging tool if the ice is about two to 3 inches thick. On the other hand, an auger drill is a preferable tool when drilling through ice that is 5-inches thick or more. Some anglers use electric auger drills to dig through tough surfaces. 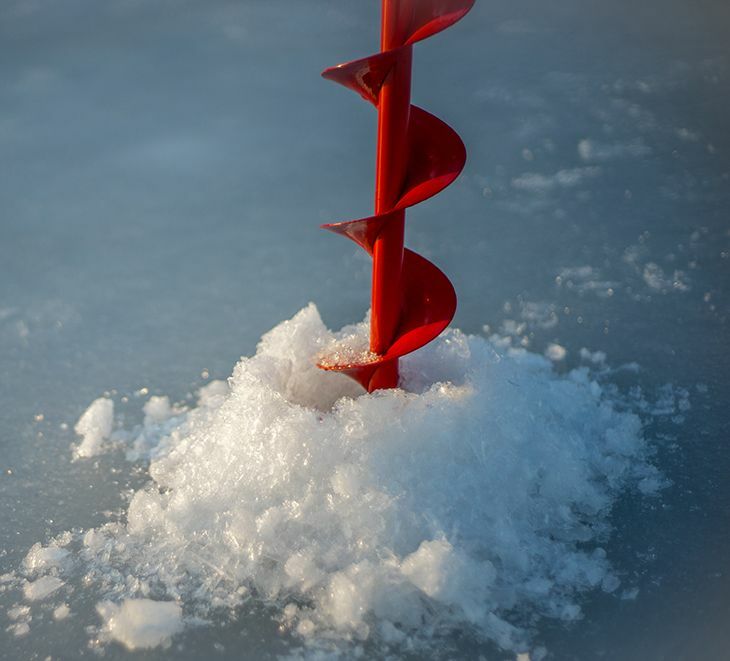 A skimmer or slush scoop can be used to clear the chunks of ice floating on the drilled hole. This tool can also be used to keep the hole open and clear. 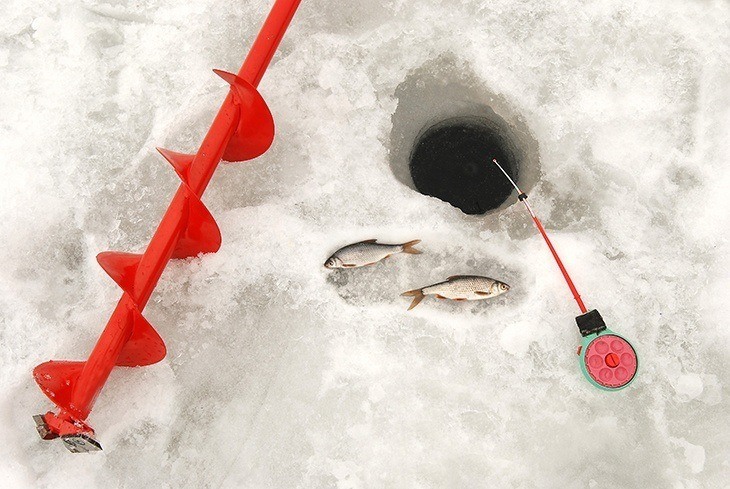 Many anglers prefer to use three ice-fishing techniques to catch the fish they target. 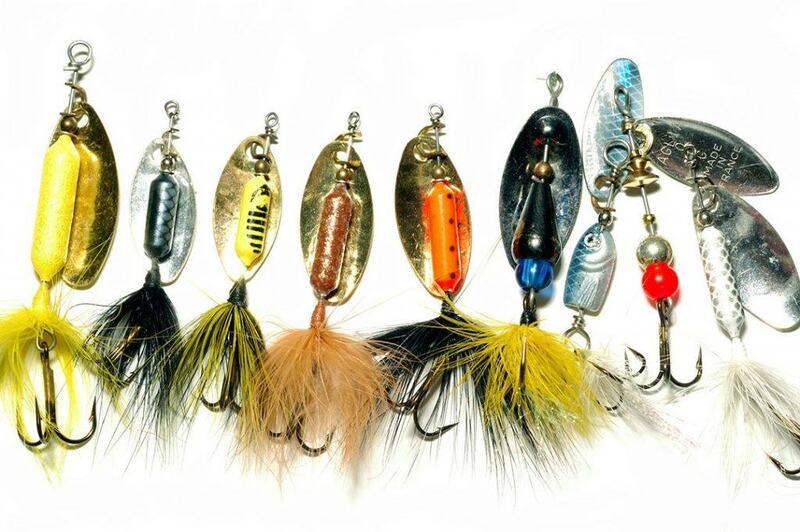 These techniques include jigging, tight lining, and tip-ups. Jigging is an ice fishing technique used by the hook and line angler. The angler jiggles the line with the live bait and tackles to lure the fish underneath the ice. Jiggling is a simple technique that can be mastered with a little practice. First, drop the line into the water allowing the jig hook to sink all the way to the bottom. Slowly raise the jig from the ground and start jigging it. You can jiggle the bait in three motions; up and down, side to side, or up down then side to side. The trick is to make the jiggle look as natural as possible to attract the fish; fast movements will appear fake even to a walleye. This is an ice fishing technique where the only movement detected is from the fish. The angler will cast the line into the water and hold still until there is movement. This is more like a trial and error technique because you have to drop the line to the right depth and with the right lure bait; something you may not figure out on day one. It is both a technique and a fishing tool. The tip is placed in a stationary vertical position above the hole and the line with bait is dangled from it. A piece of colored cloth (usually red) is attached to the line and acts as the alert indicator. If the fish takes the bait, the line will shake releasing the flag. The flag then “tips up” indicating that something has been caught on the bait below. The tip up technique will work best with heavy braided line and is ideal for catching large fish like the giant yellow perch. Now that you have an idea about how ice fishing works, here are some extra tips to remember when you head out to the lake. Dig a hole big enough to pull out a fish, but not too large that you can fall into. A maximum diameter of 10inches is enough for a fishing hole. 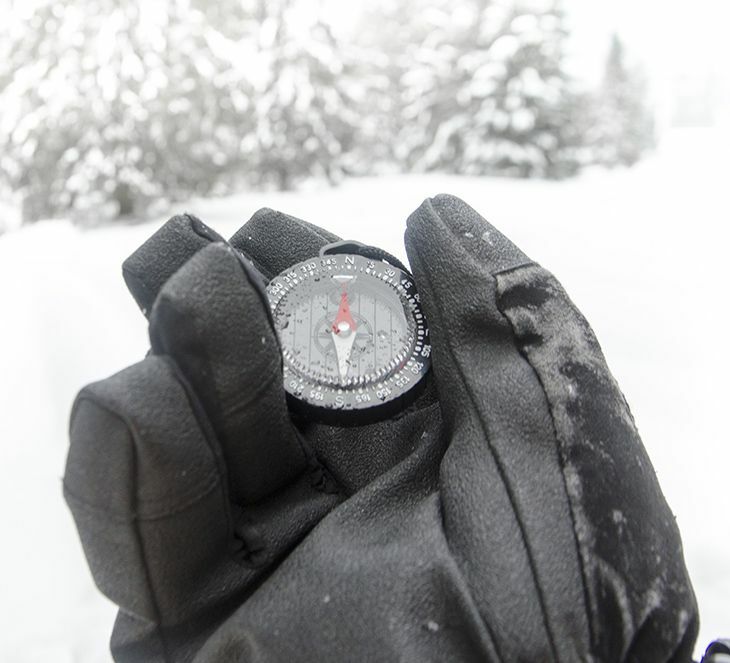 Carry ice picks each time you head out for ice fishing so that you can pull yourself out in case you fall into an ice hole. Once you finish fishing, cover the hole with a tree branch to mark it. This makes other anglers aware of existing holes in the lake. Always have some company when you go out ice fishing. Tell your spouse, family, or a friend of your whereabouts as well. Dress in several layers of clothes to keep warm. You can shed off a layer after another as the day gets warmer. Always move your jig or bait slowly and steadily. Fish are quite docile during winter; they will not chase after a fast moving bait to save energy. Use a bobber to accurately determine when the fish hits the bait. Chum your hole to attract more fish. Chumming is basically dropping more bait into the water to attract a feeding frenzy from the fish. 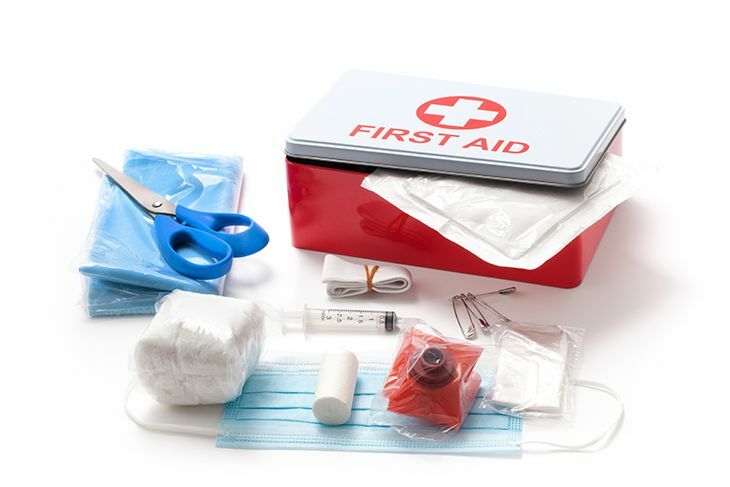 Always carry a first aid kit while out in the freezing weather. Have a cell phone with you as well in case of emergency. Fish like to feed at the bottom of the lake. Drop your bait to the bottom of the lake then start raising it slowly as you gauge where the fish are. Go to the exact spot you were fishing in during summer. Fish rarely move and tend to sink to the bottom of the lake when the surface is cold. Identify where other anglers have pitched their ice fishing shanties. They probably found a hotspot. Fish around submerged objects, drop offs or islands on the lake. Start fishing the shallow waters near the banks advancing inward. Drop your jig or bait 4 to 6 inches below the surface. Wait for a maximum 20 minutes before moving your bait. You are likely to catch a jumbo perch with this technique. Sink your bait to the bottom then raise it slowly varying the depth from the surface. 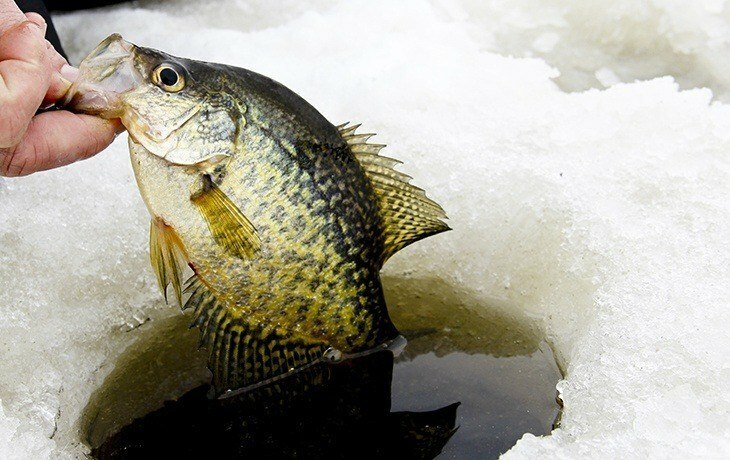 Crappies are caught this way and if you capture one, you might fill up a bucket within an hour. Raise your bait 4-inches off the bottom of the lake to attract walleyes. Continue raising your bait up to 12 inches above the bottom to locate a school of walleyes. Whitefish are active from dawn to mid-morning and will normally be found about 6 inches from the bottom of the lake. Freshly formed ice is relatively stronger than old ice. New ice will support the foot better than old ice; old ice is most likely thawed and unstable. Ice formed on flowing water currents is unstable. Avoid ice fishing near streams, culverts, or bridges. Ice never freezes uniformly. Some patches on the lake will have thinner ice than others. Do not be alarmed when the ice produces a cracking sound. It is possibly expanding and contracting with changing temperatures. Be careful when ice fishing around schools of fish. Fish bring up warm water currents, which may melt the surface ice. First, test the thickness of the ice with a spud or auger. Always keep the windows rolled down. It is your emergency route when the ice gives way and sinks your car. Drive slowly to give your headlight ample time to illuminate what is ahead. Remember there is less friction on ice and sudden breaking may not help if you spot a hole a few meters in front of you. 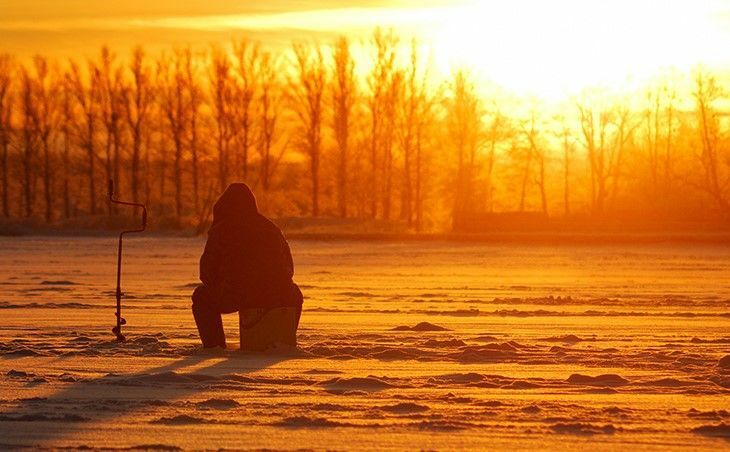 As a first time ice-fishing angler, it is easy to become too excited about your first day and forget the important basics. Some of these mistakes may cost you a decent catch or, in worst cases, your life. 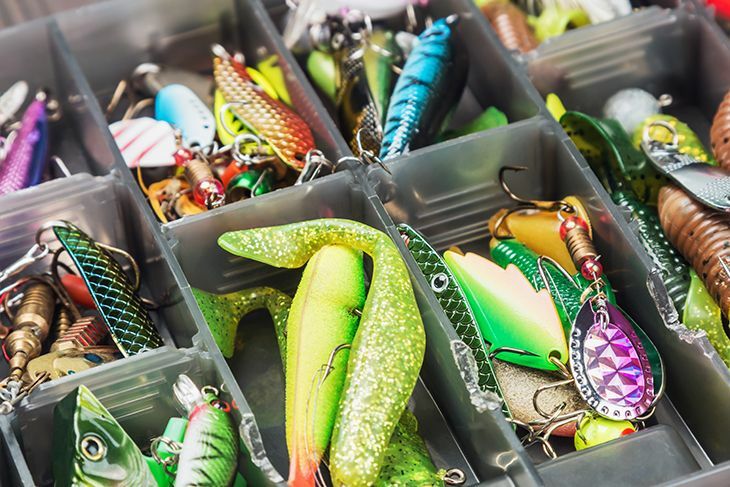 These are some of the common mistakes made by anglers that you should try to avoid. Never leave the ice shavings you drilled out lying in heaps around the hole. This is the fastest way to sell out your fishing spot to opportunistic anglers. Drill enough holes to get the fish you want but never overdo it. Luckily, we now have technology that helps point out fish activity down below. Such devices boost your ice fishing accuracy. Scooping out all the slush reduces your chances of catching fish. If too much light gets into the water, the fish will swim away from that hole. Not having your safety gear with you at all times is not advisable altogether. Safety gear includes items like picks, gloves, first aid kit, and float jackets. Ice fishing is a fun outdoor activity for many people all over the world. However, it is important to follow ice-fishing precautions and always inform your friends and family when going ice fishing. 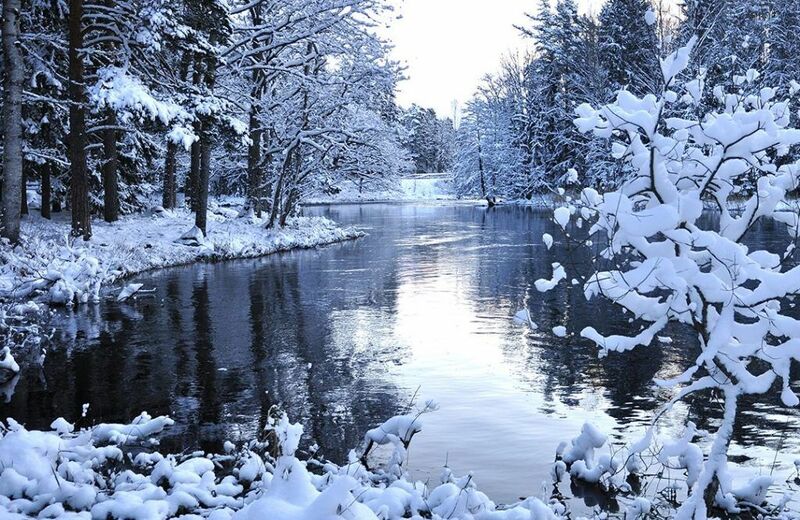 In addition, consider using baits and reels designed for fishing in icy conditions. Beginners are advised to read ice fishing guides to get all the information they need on ice fishing and avoid the common mistakes that people make when ice fishing.